Do you have an existing mobile billboard truck or trailer that you have been thinking about converting into digital? 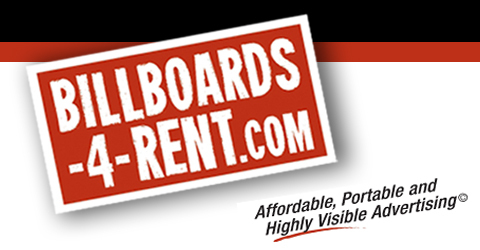 Billboards-4-Rent are experts in this area and know exactly what to do. We have over 12 years of experience and enough knowledge about billboard trucks/trailers and their restrictions, inefficiencies, and costly fees of printed banners. Years ago, it was impossible to even imagine combining digital signage and a mobile billboard truck into one solid unit due to high costs associated with the purchase of L.E.D Digital Sign(s). With years of improvement in resolution, size, and technology…those prices have come down and is very affordable for one that is serious about converting their mobile billboard truck. Digital Mobile Billboards are the wave of the future in regards of mobile billboard advertising. There are many reasons why one should consider converting their existing unit into digital technology. This is actually the perfect time to make the changes and have us retrofit your existing truck with the latest and greatest technology. We work with existing businesses/owners who understand and have been in the mobile billboard business for years. They admittingly know the scrolling mechanism will soon be obsolete! But how does one even go about in making those changes to be current in the industry? We work for you to find the best solution that is quick, cost efficient, and in your best interest. That’s why we take your existing unit and retrofit a new high resolution digital sign that takes the old truck and converts it into an amazing unit that has cutting edge digital technology. You will find that you are able to generate more income and keep more of your profits, due to no costs in print and no down time in waiting for those banners. Now, you can tell your customers’ “yes we can” when they have a project that needs to be rolled out in 1-2 days. Normally, you need at least 2-5 days to wait for the printed banners to come back. This format is so simple and easy. At Billboards-4-Rent, we show you how it’s done. Contact us today (702) 835-2034.